Many individuals are aware that biotech has developed a seed monopoly largely by patenting genetically modified organisms, but not everyone realizes that Monsanto tried to patent a tomato that had no biotech traits. 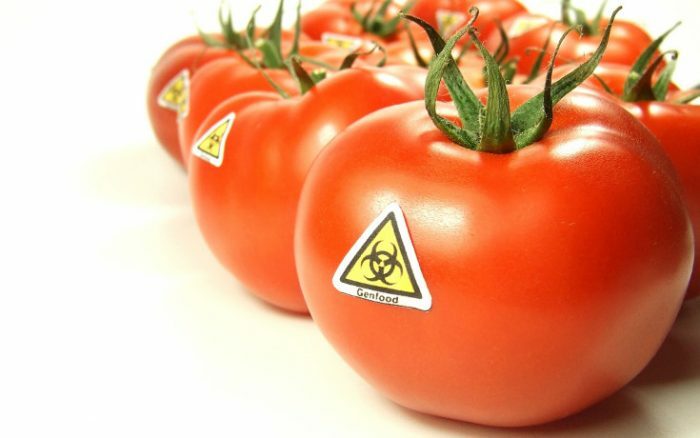 Now, the European Patent Office (EPO), with help from an international coalition, No Patents on Seeds!, has revoked Monsanto’s fraudulent patent and claim to tomatoes that are naturally resistant to a fungal disease called botrytis. These natural, non-GMO tomatoes, like many healthy plants, have a natural resistance to certain pests. In this case, a fungal disease, but this is not a novel phenomenon. Why Monsanto would try to claim they created it is about as believable as Syngenta or Dow saying they invented the sun. Though plant breeders can help plants develop this natural pest resistance, much of it is innate – the same as our own immune systems. When individual plants reproduce, they pass along exceptional combinations of genes to their offspring. Varying environments (such as cold, or dry, moist or breezy) favor individuals with different physical and behavioral traits. Individual plants with genes that improve their survival will be more likely to pass along these genes compared to the rest of the population. There is no genetic manipulation via biotech technologies. None is needed. Mother Nature is pretty smart like that. Of course, if the soil is replete with organic, non-industrial nutrients, the plants develop an even better immune system, and more resilient, and then pass these traits on to their progeny. Though Monsanto has nothing at all to do with this process for a specific breed of tomato, they were able to get Patent EP1812575 – which has now been revoked. The tomatoes used to obtain their ‘monopoly’ on another seed were obtained from a gene bank in Gatersleben, Germany, and it was already common knowledge that these plants had a desirable resistance to botrytis. Monsanto’s clever lawyers created wording in their patent application to give the impression that the seed was genetically engineered to produce this quality. They made the tomato look their “invention.” This is essentially biopiracy. The revoking of this patent is important because it tells Monsanto and other biotech companies that the world will not stand down to its abuse of patent laws. It will also allow plant breeders and home gardeners access to a larger variety of naturally resistant plants. The coalition of No Patents on Seeds! has filed further oppositions against patents held by the US company covering broccoli which can be harvested mechanically (EP 1597965), melons that are resistant to plant viruses (EP1962578), and a selection of plants for breeding soybeans (EP 2134870) adapted to climate change. Activists are calling on the European government to review the way patents are obtained by biotech, and to make certain that existing prohibitions on plant patents is observed. This, in turn, should make those who grow our food less dependant on biotech creations, and more self-reliant, as more diverse seed becomes available for planting. Hundreds of plant and animal varieties that are the result of a biological process and not GMO tinkering have been given patents by the EPO, and over 2400 patents for genetically modified seeds have been given to Monsanto alone. This single company controls more than 25 percent of the world seed supply, and they aim to control more. We simply cannot let that happen. Uh, biotech was used to make this resistant tomato. http://www.google.com/patents/EP1812575A2?cl=en First, a technique was developed to identify the genes, then a techniques were developed to extract the genes and combine them to grow new plants, to harvest the seeds. Hybrids are patented and biotech is used. You are confused about the word “biotech”, which does not = GMO. The GMOs people are freaked out about are TRANSgenic, and this is not that. No one will go to jail. The only way they’ll stop is if these CEOs and their major share holders start ending up in morgues. That will never happen. They’re all surrounded by layers of Blackwater operators , or whatever they go by now. SO, If I spend years selectively breeding a plant to express a certain trait – like some marijuana vendors do in Colorado – that does not give me the right to that particular cultivar of plant? Humbug! There is a nation that forbids the export of a live plant that is its second largest cash-crop, specifically because it does not want those types of that plant (Piper methysticum) grown in other parts of the world to jeopardize its economy, effectively staking “ownership” claims on that indigenous plant. What is the difference? To think that, Warren Buffet & Bill Gates have many millions tide up in this “Agent Orange” creating company. Makes you wonder why? getting crazier and crazier, I just don’t get it why everybody’s banking all on labeling, i would classify GMOs as a biological hazard to be handled in chem suits just like nuclear fallout.